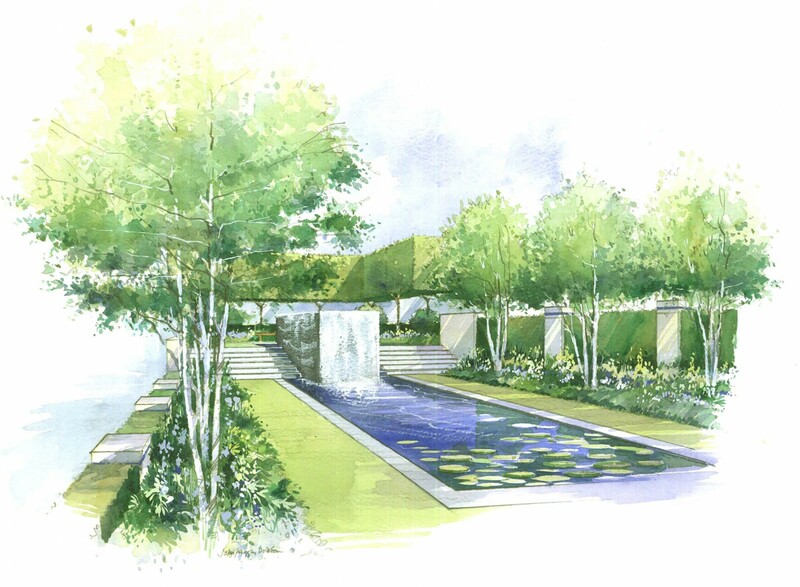 The Urban Renaissance garden created by Scape emulated the main features of the central garden planned for The Knightsbridge development. 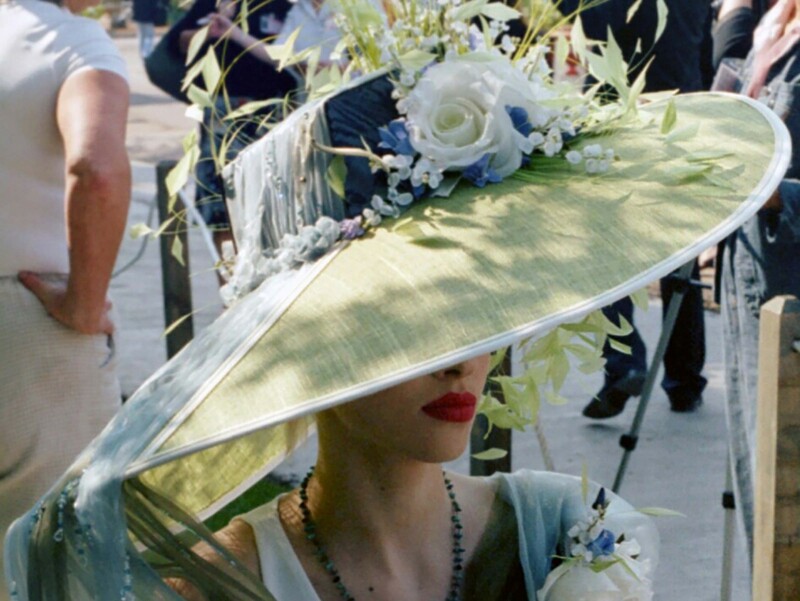 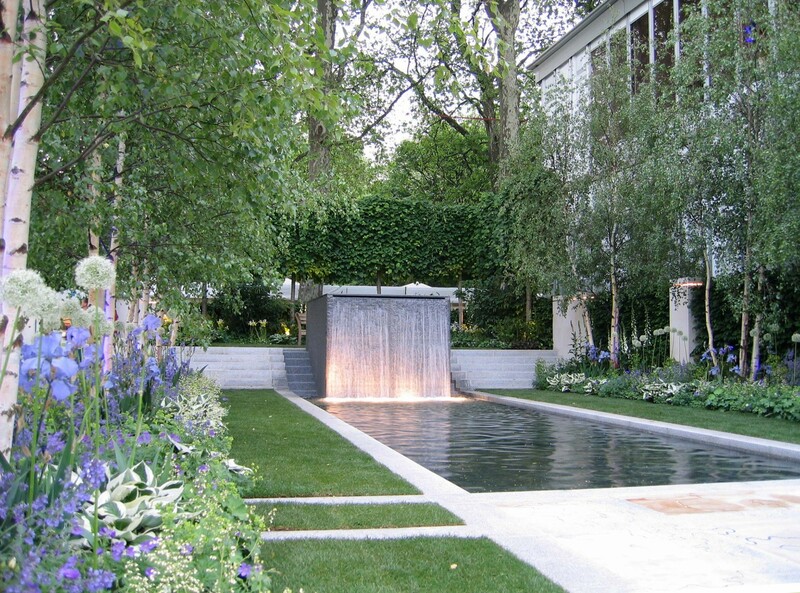 The developers decided to showcase a smaller version at Chelsea Flower Show the year before opening, to exhibit the potential of the garden with pride. 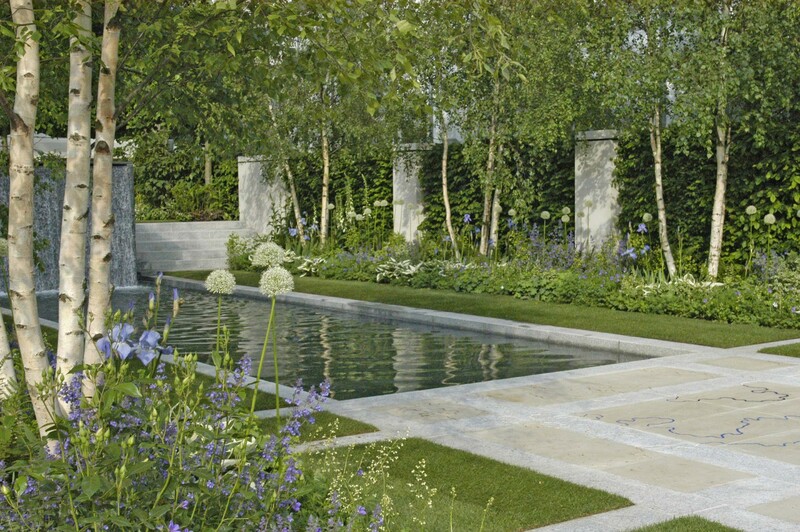 At Chelsea the garden was divided into two levels, each displaying a distinct planting zone; the woodland glade and the water garden. 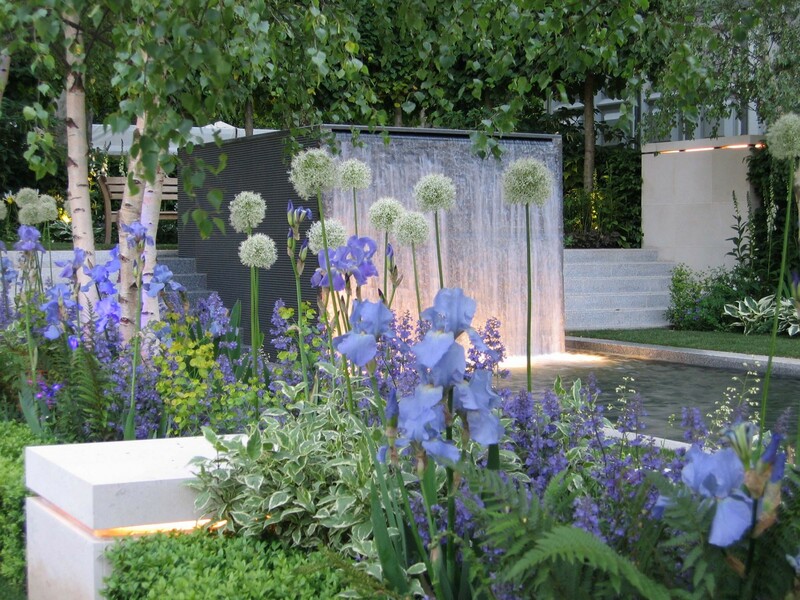 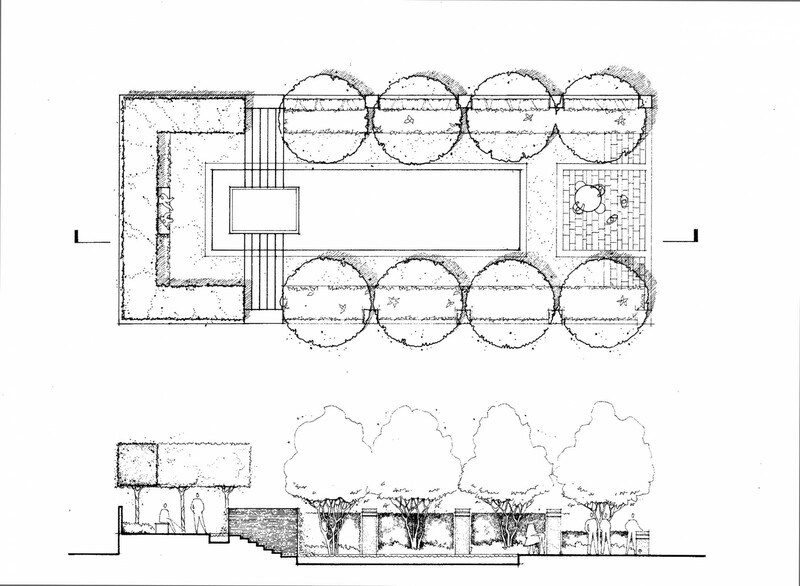 The gardens were linked by a giant granite cube and water cascade forming a grounded centrepiece. 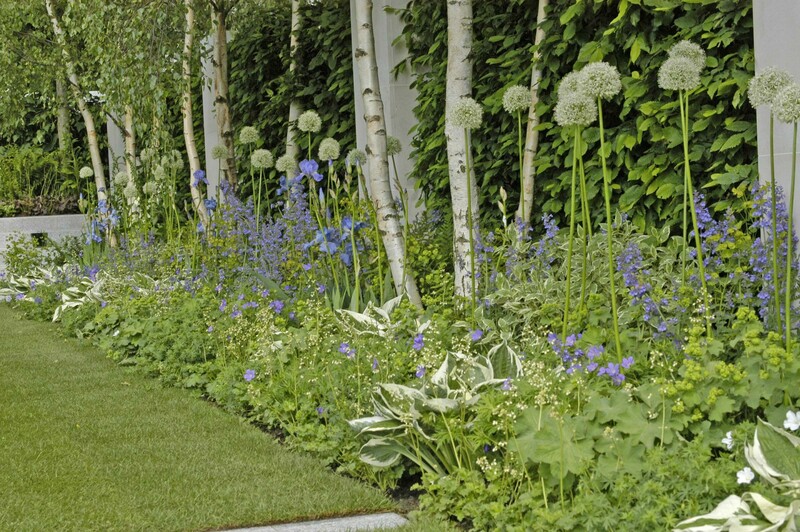 In conjunction with award winning planting designer Patrick Collins, Scape developed an elegant white, blue, yellow and green planting scheme with the philosophy that all should be species that are readily available.